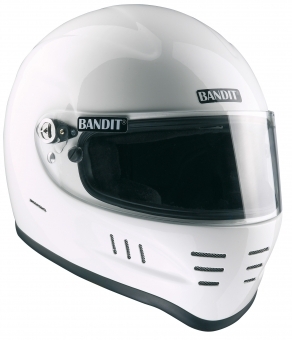 Bandit SNELL SA is according to its Name a SNELL approved and homologated Helmet. 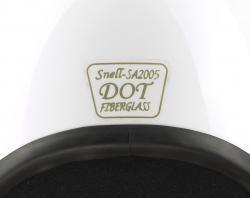 SNELL is the hardest Standard for Helmets in the World, SNELL SA approved Helmets can be used on Racetracks worldwide, not only for Motorcycle but also for Karts, Car Racing, Drag Racing and even Formula 1. Inner fabric made of fire proof Nomex, Chin strap of Kevlar with Double-D Rings. We can add H.A.N.S. Connectors to the Helmet if required, please note the helmet is homologated without HANS Connectors, the Connectors are homologated themself, with FIA Number printed on, the combination of helmet + HANS Connectors is not homologated in this combination.